Printing is no longer limited to standard sheets of paper. Most current models can print on a variety of paper types and different media types. While there are a number of specialty media types, such as iron-on transfers, labels, and stickers, even traditional paper media comes in multiple types that can tailor the output to your specific needs. Armed with a bit of information, you can expand your printing horizons and step away from boring, plain prints when the right occasion calls for it. For everyday printing, it is hard to beat standard paper. This paper is generally the least expensive option, and is great for office memos and tasks that don’t require an impressive finish. Recycled paper has been manufactured from post-consumer waste, so it is more environmentally-friendly. While some recycled paper is more brown in color, white recycled paper is available as well. It is useful for the same types of tasks as standard paper, but is often a bit more expensive. Generally the most popular alternate paper type, a majority of users will use glossy paper to print photographs. The gloss enhances color tones and provides a shiny finish, and is often more water-resistant and durable than plain paper. It has a smooth surface, but can often collect fingerprints and dust. Semi-gloss paper has a little less of a glossy finish, for those in-between applications. HP provides a resource for choosing the right HP Photo Paper, and many of these tips apply to printers from other manufacturers as well. A perfect example of this paper type is a postcard. The front side is a standard glossy paper, with vivid colors and shine, but the backside is a cardstock type of paper. It has the benefit of being less-expensive than two-sided glossy paper, and is often quite durable. 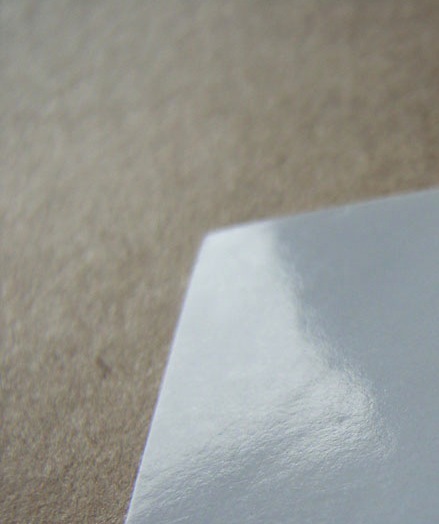 UV Gloss is not its own paper type, but an additive to glossy paper. It is basically a garnish, applied after printing to enhance colors and provide an extra layer of protection. Often it is only used in certain spots. For instance, someone making business cards may apply UV gloss to the business name so it stands out a little brighter than the rest of the words. Matte paper is thicker and stronger than standard paper, but without the gloss. The colors will be less lively, but it will not be as easily damaged by fingers and sunlight. This is a good paper choice for advertising in a lighted spot, as the Matte paper does not cause reflections. It does tend to be more prone to water damage than glossy varieties, however. 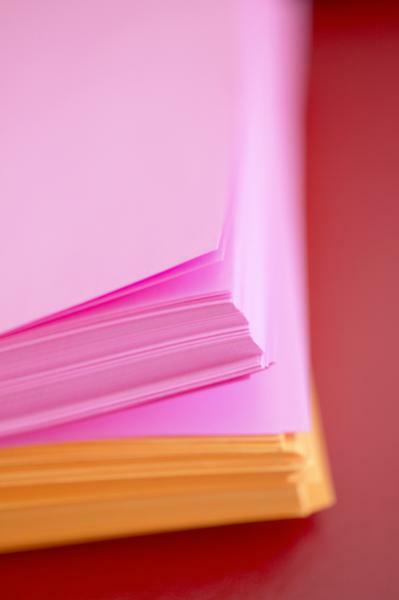 Cover stock and card stock are heavier weight paper that are often used to create covers for bound reports, or things like place cards that need to be more rigid than standard paper. This type of media is used to create magnets for advertising. This media generally requires a specialty printer, however, and may not be compatible with a home or office machine. When exploring the different types of paper available, consult your printer’s manual to view the types of paper supported, as well as the sizes and weights. Some printers also utilize an alternate paper path to reduce bending of thicker media. It is also important to ensure that the paper you choose is compatible with your type of printer. Some paper is designed for laser models, while others are designed only for inkjets, for example. By researching the different paper types available, you can make the best choice, dress up your next project, and grab the reader’s attention. « What is an OPC Drum?